Fuel costs are an assumed operating expense, but many companies only look at their monthly fuel bill and try to figure out how to get drivers to use less or pay less at the pump. 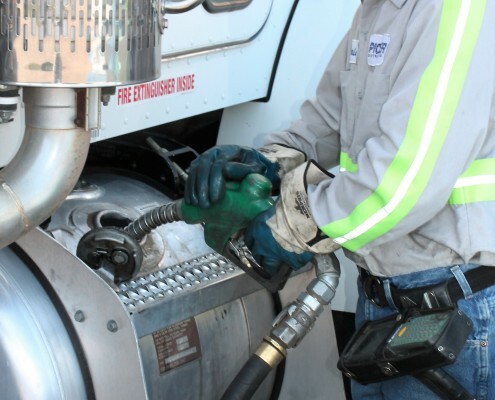 Most don’t consider the total cost of fueling and fuel management. To Best serve your needs we will complete a comprehensive Site Survey and provide a Cost Savings Analysis based on your current fuel purchasing history. From 50 gallons to 10,000 gallons, Pioneer delivers fuel door to door 24/7/365. With our experienced, professional drivers, we ensure accurate, on time delivers to generators, heavy equipment and tanks. We handle every customer with care and offer a Hassle Free, Satisfaction Guarantee. Our state of the art fleet of trucks equipped with weights and measures approved pumping systems provides accurate deliveries.